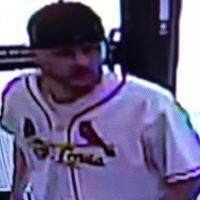 Galesburg Police are seeking an individual that is believed to have stolen a donation box from Casey’s General Store on N. Seminary Street.The theft occurred at about 10:30 a.m. Monday morning with the suspect taking a box containing donations for St. Jude’s Children’s Research Hospital. 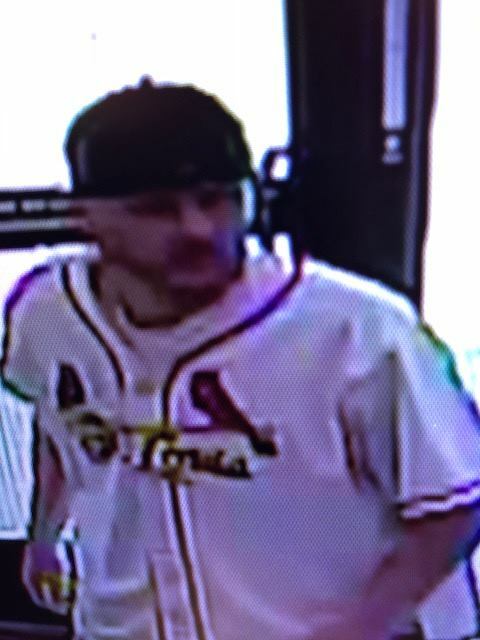 A photo taken from security cam footage shows what appears to be a Caucasian male in a white St. Louis Cardinals jersey and a black hat. If you can identify the individual in the photo or have information regarding this crime, contact Galesburg Police at (309) 343-9151.